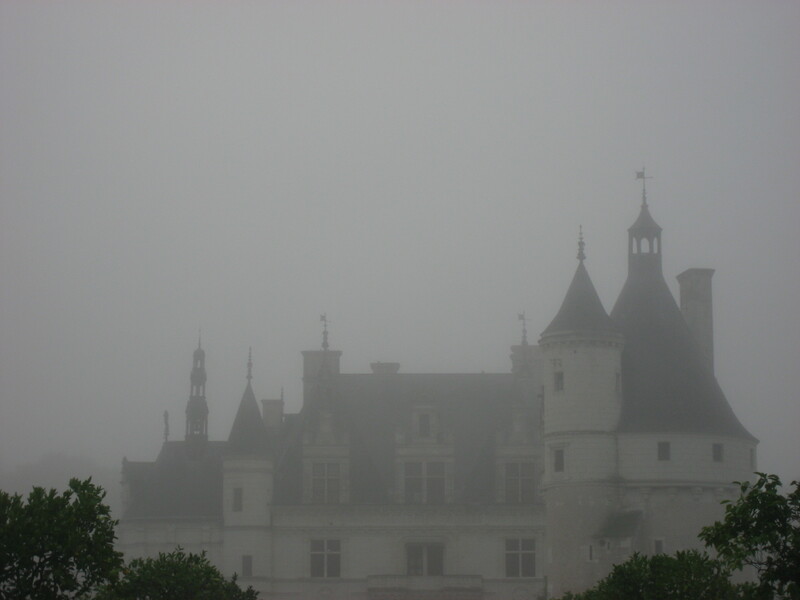 On autumn mornings and evenings in the Loire valley the river’s mist is so impenetrable that its many chateaux appear as ghostly forms only as you draw near them. Up close, colours are thrown into relief against the indistinct landscape. The green of formal gardens and blue of slate roofs are particularly vivid. 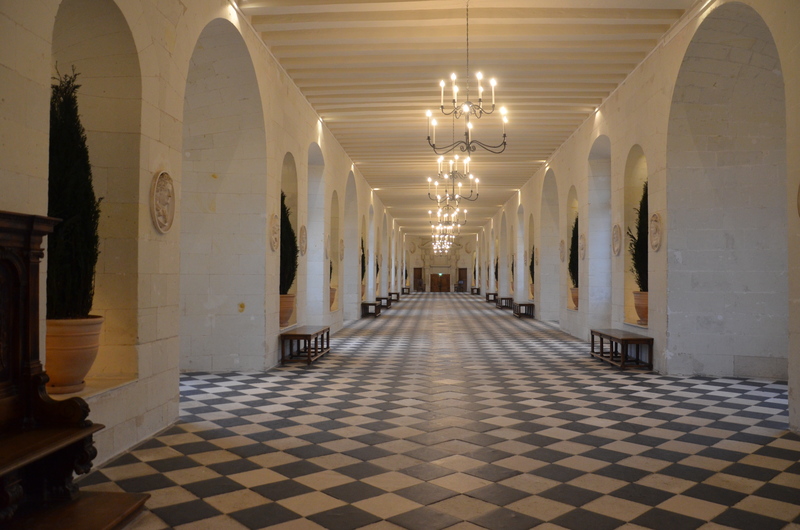 Nowhere is this effect more striking than at the Chateau Chenonceau, built on piers over the river itself. You approach the chateau up a long alley vaulted with the boughs of tall plane trees, which loom out of the mist as you walk. 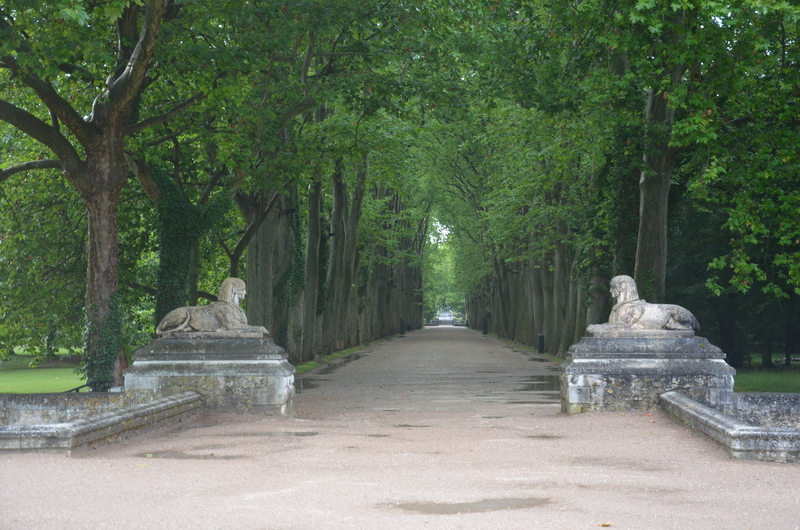 The avenue’s end is only a faint grey blur, bounded by a pair of stone sphinxes that flank the walkway. Up ahead, the Chateau Chenonceau appears to float above the water. It is small, white, with blue pinnacles and towers. 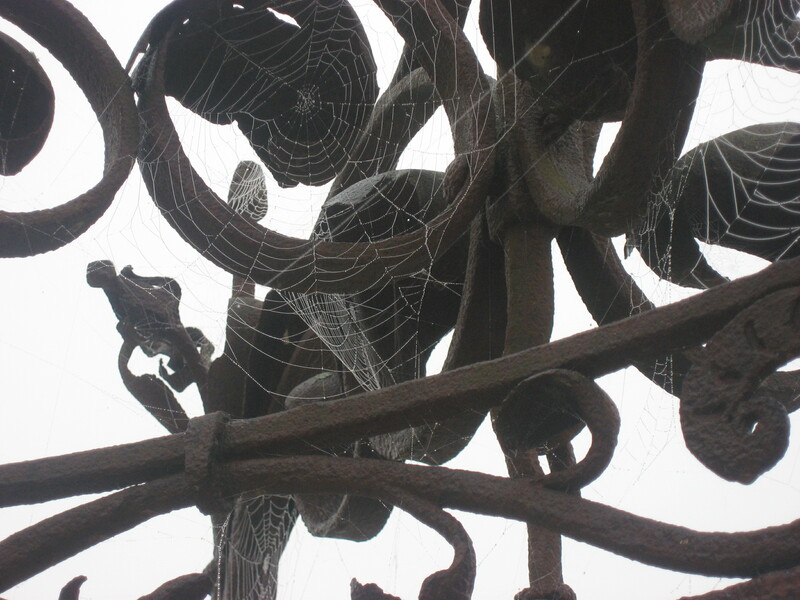 It sits atop the piers of an old mill and spans the river. As you reach it by a small bridge you feel like a lost wanderer in an especially fantastical story. I had visited the chateau once before when I was sixteen and had found it deeply enchanting, by far my favourite of the Loire’s many chateaux. 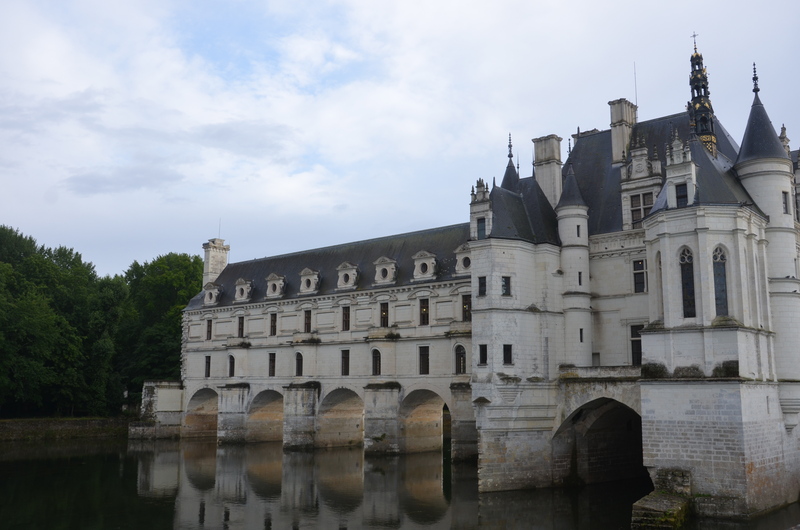 On my second visit to the region, just this year, I had chosen to end my trip at Chenonceau, on my last evening in the valley, without remembering what it was. I became giddy upon seeing the tree ally and realizing that I was back at the place I had most desired to see. I felt a remarkable resolution at being in that same place, a continuity of experience and self that had eluded me for some time. I found myself caught in the rain part way down the ally and ran over the bridge to find refuge inside. It was in the evening and the chateau was empty. I lowered my shawl from my head and stepped onto the terracotta tiles of the front entry. Water dripped off my dress onto the floor. The rooms are small, with high ceilings and lead-paned windows. They are comfortable, almost cosy, and I sat by an open window in one of the bedrooms and watched the rain fall on the water below me. The chateau is modeled after a Venetian palace, and it shares something of Venice’s surreal beauty, as well as naturally evoking the Venetian lagoon by its situation over the water. And yet with its fairy tale pinnacles it is distinctly of the Loire. I spent hours wandering alone through the house: down its bright gallery lined with windows and tiled in white and black; into its low, glowing kitchens; up to its elegant bedrooms, and its rather sinister and dark top floor. Many of the rooms are adorned with Italian paintings, sumptuous Gobelin tapestries and courtly portraits. 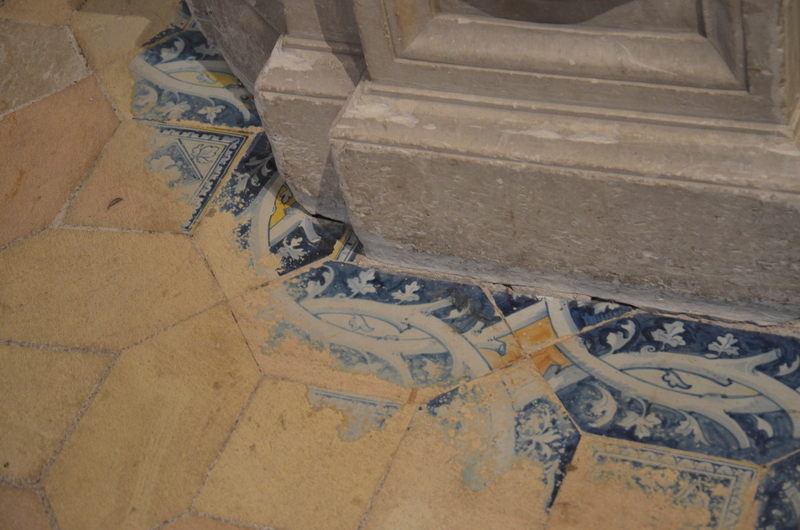 Their walls are lined in richly coloured silk and the floors were once elaborately painted. Now only remnants of the blue patterns remain around the edges of the rooms. It is a quiet, peaceful, and faintly echoing place. I lingered as long as I could, until the rain passed, before making my way back down the misty ally. 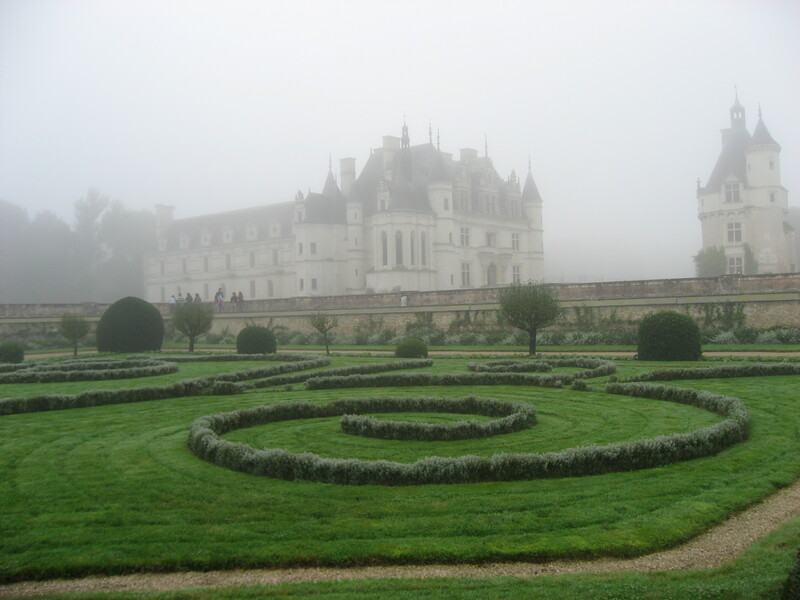 I left feeling at home and very altered—which is to say, I realized how very little I had actually altered in the intervening years between my two visits to Chenonceau.